So you want to get your child to practice meditation and mindfulness. Maybe he is four and a miniature hurricane, running wild with energy in a cramped apartment. Or maybe she is eight and gets overwhelmed easily when there are crowds or loud noises. Maybe he is eleven and gets really worked up when something bothers him, putting him on the verge of lashing out in anger. While meditation does not help all people, it certainly helps most, and this includes children. First we will go over the basics of meditation and mindfulness, then I will delve into the benefits of morning meditation. Mindfulness is a purposeful state of awareness, where you are in the moment, living and appreciating the present. This state is often reached by doing various meditation practices. The benefits of achieving a mindful state are numerous. Lowered heart rate and blood pressure, lessened anxiety, higher brain function and awareness, and increased immune function have all been seen as a result of practicing mindfulness meditation. As well as being able to better regulate emotions and control them, leading to decreased stress. An increase in attention and focus has also been noted. The most appropriate meditation practice for children, especially young ones, are breathing techniques. There are a multitude of these, though a few are more prominent for being kid-friendly. Breathing exercises, also called Pranayama, focus on deep breaths and breath control, and they are useful for calming an upset or hyperactive child. The first technique is called the victorious breath, or Ujjayi. It involves producing a deep ocean sound at the back of the throat, while breathing deeply with the belly. This breath calms and settles the energy of a child. The second technique is the alternative nostril breath, otherwise known as Nadi Shodhana. This breath is said to help balance the left and right hemispheres of the brain, resulting in better cognitive development. To perform this breath, hold one nostril closed, and breathe with the other for a while, then repeat with the other nostril for the same amount of breaths. Finally, the shining breath, or the Kapalabhati, is a technique in which you push air out of the mouth, while drawing in the abdomen at the same time. Of course, this information is utterly useless when you haven’t got the slightest idea about how best to start your child on meditation. It will be a slower process for some than for others, but the rewards are endless and it is an amazing journey to take with your child. You need to lead by example with kids, the old “do as I say, not as I do” thought process is ineffective in all aspects with children, as you should know. If you start meditating, even for five minutes a day, your child will become curious and may ask questions. This is a good time to introduce them to it. Have them sit next to you in a comfortable upright position, close their eyes, and focus on their breathing. You can also have them sit comfortably and just be quiet, observing the room around them, or better yet, let them peer out a window and watch the world go by while sitting in peaceful silence. Set up a meditation area together, with soft pillows, a yoga mat or two, maybe a tapestry to gaze at, an incense holder or essential oil diffuser, a window if you have the space by one, and some little trinkets, or even some plants. Start small in regards to time. A child meditating for the first time will not be able to sit for ten minutes. Maybe try for a minute of silent sitting first, or a minute of deep breathing using one of the techniques mentioned above. Over time, work on extending the amount of time as the child gets accustomed to the practice. 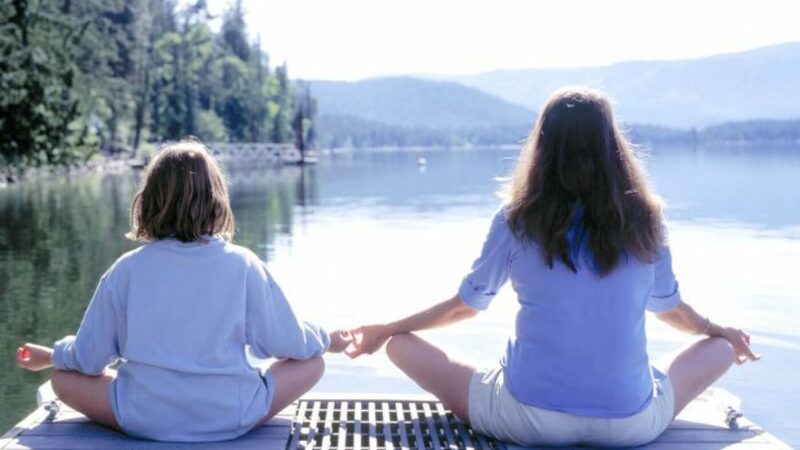 Many parents reported that their kid became calmer, and had a better day after meditating. These results take time though, keep that in mind. Speaking of having a better day, let’s talk about meditation in the morning. Morning meditation is a gentle way to begin your day, and the same goes for your child beginning their day. Stretching as they wake up, and sitting in bed for a few minutes, focusing on deep breathing, it can set their mind to a calm rhythm so to speak. Rather than beginning the day by hollering, “Breakfast is ready!” and jolting a kid awake, begin gently waking them by a pat on the shoulder or some calm music, such as singing bowl tracks. Sit with them in the meditation space you made together, and take a few minutes to breathe deeply and practice mindfulness. Then go about your routine, making breakfast, helping them get ready for school, and getting them onto the bus. They will start the day peacefully, rather than in a rush, enabling them to remain calmer and more focused throughout the day. Earlier we talked about some of the overall benefits of meditation for people, now let’s learn more about the ways meditation benefits kids. They learn body awareness, they see how they react to stress and learn how to control their reactions and emotions, rather than flying off the handle. They get a more positive outlook on life. They concentrate more and have a longer attention span, a result of focusing on all those breaths. Through better focusing, they can read and learn better and more efficiently, improving their studying habits, grades, and overall GPA. Kids gain social skills through meditation, through being able to control their emotions, and thus have a higher self-esteem because they are able to communicate effectively. Moreover, children are able to pay attention to their thoughts and feelings, helping them to learn empathy for others and become better listeners, and more respectful members of society. By meditating, children are able to tap into the inner workings of their natural creative spirit, perhaps spurring on their passion for reading, finger painting, or learning about rocks. This is just a few of the tons of benefits to meditating and practicing mindfulness that are more prevalent in children. Meditation is a fantastic way of balancing the tech side of life. The average amount of time elementary schoolers spend on electronics a day is seven hours and thirty minutes. That is a huge amount of time! Technological advances and the common use of tablets, phones, and computers for fun and convenience has created a multitasking culture. This culture promotes fast thinking and a mind that goes ninety miles a minute. That isn’t necessarily a good thing. Kids are susceptible to some side effects of this aforementioned multitasking culture. These include nervousness, anxiety, and a short attention span. It is best to counterbalance the tech side of life with positive quiet time, and meditation is perfect for that. Meditation increases self-awareness, a little different than the previously mentioned body awareness. A self-aware child is able to look inside themselves and find their passions, dreams, and career goals. 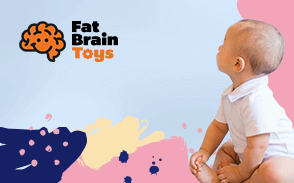 They can also better understand their reactions and learn to self-regulate, as well as develop an independence and ability to follow their intuition. So next time you are doing your meditation practice, be sure to involve your children! All in all, what do you have to lose, other than some stress?